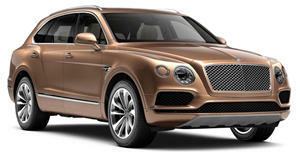 Last year, the Bentley Bentayga became the fastest production SUV to ever lap the Pikes Peak International Hill Climb after completing the 12.42-mile course in just ten minutes and 49.9 seconds at an average speed of 65.5 mph, beating the previous record by nearly two minutes. One year later, Bentley is returning to the challenging hill climb circuit to attempt a new record. This time, the automaker will use the new Continental GT to try and set a new production car record. 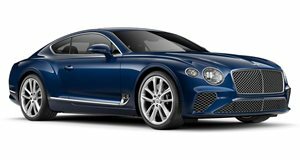 The new Continental GT is powered by a 6.0-liter twin-turbocharged W12 producing 626 hp and 664 lb-ft of torque, enabling the luxury grand-tourer to accelerate from 0-62 mph in 3.6 seconds. Twin-scroll turbochargers minimize turbo response time, while high and low-pressure direct fuel injection optimize power and torque delivery. Following Millen’s record-setting run in the Bentley Bentayga at Pikes Peak last year, Bentley’s motorsport department has already begun preparing the new Continental GT for the 2019 record attempt. "Bentley’s success last year along with the experience we gained will prove to be instrumental in preparing for our return to the mountain,” said Bentley’s Director of Motorsport, Brian Gush. "The challenge to set the outright record for production cars is not one we underestimate, but we are confident in the combination of our W12 engine, the dynamic ability of the new Continental GT and the outstanding skill of Rhys Millen.” Bentley will attempt the new production car record at the Pikes Peak International Hill Climb on June 30.